A Romantic Vermont Country Inn ~ Established in 1795 in Northern Vermont, Rabbit Hill Inn is a truly romantic and luxurious Vermont bed and breakfast country inn -- a perfect New England vacation destination for intimate getaways, honeymoons, celebrations and relaxing escapes to Vermont’s Northeast Kingdom. We invite you to this tranquil place – an oasis of unparalleled Vermont lodging comfort and amenities, heartfelt hospitality, service that anticipates and pampers, and soul-inspiring surroundings. Select from nineteen romantic, lavishly appointed Vermont B&B guestrooms and suites – most with glowing fireplaces, many with luxurious double whirlpool tubs, heavenly canopy beds, and intriguing antiques. All rooms are steeped with charm and elegance, designed with your needs and comforts in mind. 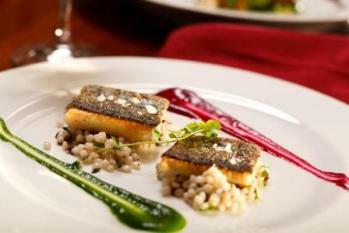 Exquisite Dining ~ Northern Vermont Dining at Rabbit Hill Inn is unsurpassed. Enjoy glorious breakfasts by candlelight and delicate pastries & tea served mid-day. Celebrate your evenings with sophisticated and artfully prepared farm-to-table cuisine presented in a most romantic and comfortable atmosphere. When the snow falls, ski the mountains of Cannon, Burke or Bretton Woods. Enjoy snowshoeing, cross country skiing, ice skating, snowmobiling and horse-drawn sleigh rides. Warmer weather invites you to enjoy hiking, biking, canoeing, kayaking, ziplining, swimming, and golfing at three notable courses. Of course, in-room massage is the perfect way to relax after any activity! 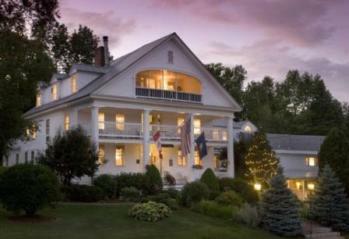 Rabbit Hill Inn is the Northeast Kingdom’s only AAA Four Diamond Inn & Dining Room. It has been named a Top Ten Inn in the United States by TripAdvisor, has been selected One of the Best 100 Hotels in the World by Travel+Leisure Magazine, and rated a Top Ten Inn Worldwide by BedandBreakfast.com.